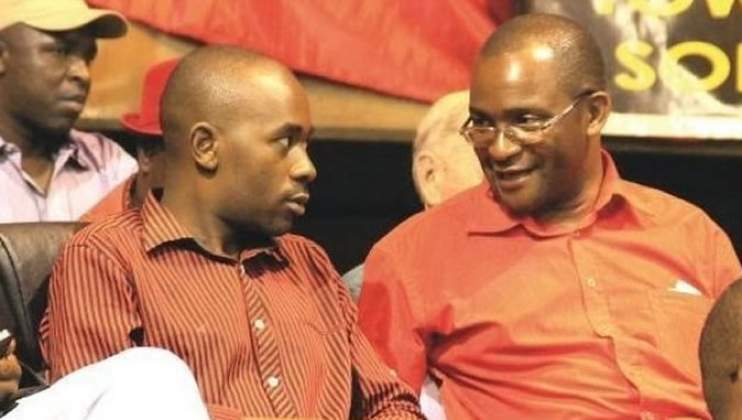 MDC Alliance secretary general, Mr Douglas Mwonzora, is understood to be seriously considering to challenge the party's president Advocate Nelson Chamisa for the top post during the opposition party's congress in May. Last Friday, the MDC Alliance announced that it will be holding its congress in May to elect new leaders. Sources within the party yesterday told Chronicle that Adv Chamisa is likely to be challenged for the presidency by the party's secretary general and his deputy, Mr Elias Mudzuri. MDC insiders said Adv Chamisa is aware that Mr Mwonzora could be a threat to his presidency which he grabbed following the death of the party's founding president Morgan Tsvangirai last year in February. "Remember Chamisa lost the secretary general post to Mwonzora in the last congress. If we consider the mafia style in which Chamisa rose to the presidency, his leadership qualities leave a lot to be desired. He might be popular among Zimbabweans but the reality is that those numbers mean nothing as some of his sympathisers are not party card carrying members," said an MDC insider. "Mwonzora might pull a shocker that is why during the internal squabbles that led to Thokozani Khupe and others being expelled from the party he (Mwonzora) was also censured for his association with Khupe and crew." Contacted for comment, Mr Mwonzora said he has full rights to seek election to any party position. "Let me answer this way, I am a full member of the MDC with full rights given by the MDC constitution. One of these rights is the right to contest any position. "However, I'm not yet aware of the position that I'm going to contest because the nomination process has not yet started," said Mr Mwonzora. "So I do not know what the members are going to nominate me for. The system is not whether you want or not. It's whether you are nominated. But the nomination has not yet started so I'm not aware, I don't know what position I will contest. But I'm eligible to contest any position." He said he will not speculate on any position at the moment but will make a special announcement soon after the nomination process has been opened. "The nomination process is going to be taking place in due course. I will also be announcing shortly after the nomination, if I get nominated for any position I will contest that position. But I have not been nominated yet," he said. Meanwhile, addressing a rally at Mkoba Stadium in Gweru yesterday Adv Chamisa threatened mass action and shut down Harare if President Mnangagwa doesn't agree to a power sharing arrangement. He said his party was prepared to use its "political muscle" through demonstrations in which all its supporters countrywide would descend on Harare. "Last month there was a stay away called by our mother, the Zimbabwe Congress of Trade Unions and we took heed to it as we are a child of ZCTU. "Now we are saying we want dialogue with (President) Mnangagwa. I know you are asking yourselves a question, if (President) Mnangagwa refuses dialogue what will we do? "We said we are giving him a short space of time to conclude dialogue and do away with the election mode. The country cannot be perpetually in an election mode. We want to close the election mode and go into economic transformation. We will call our membership from across the country and engage in a democratic mass action and shut down Harare," he said. The opposition leader, who snubbed an invitation last month by President Mnangagwa for dialogue involving all party leaders who contested for the presidency in last year's elections, said the dialogue should be restricted to Zanu-PF and MDC Alliance.